Greetings from a very cool Germany! Autumn has really and truly set in and the tree colours are stunning. 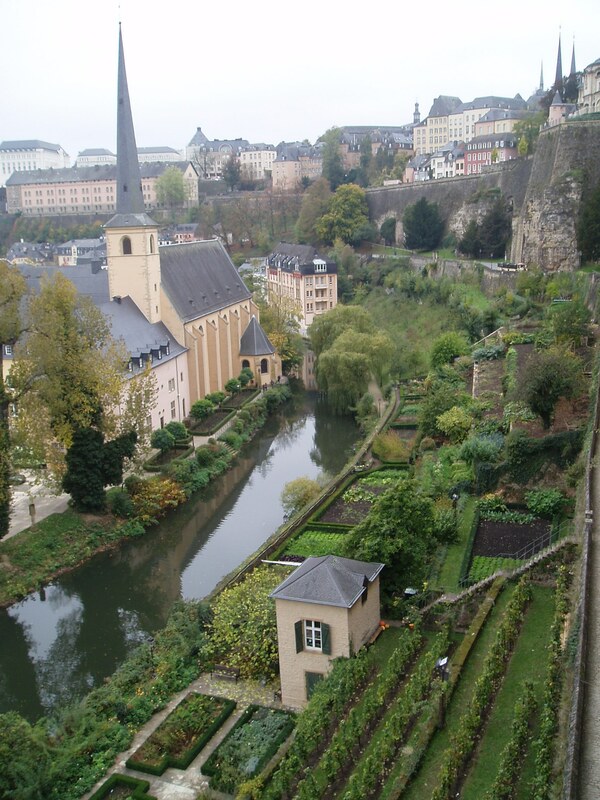 Luxembourg was smaller than we imagined but prettier. 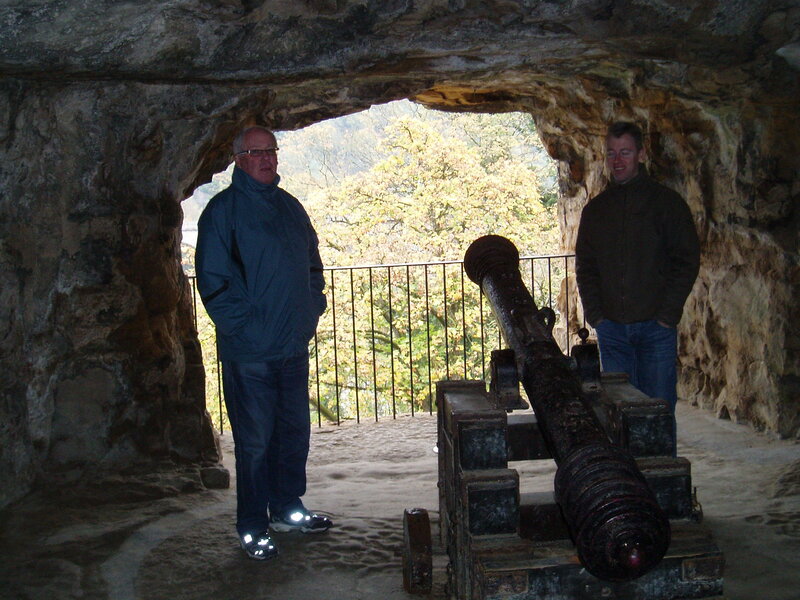 Sean took us on a great guided tour of the “must see” things. 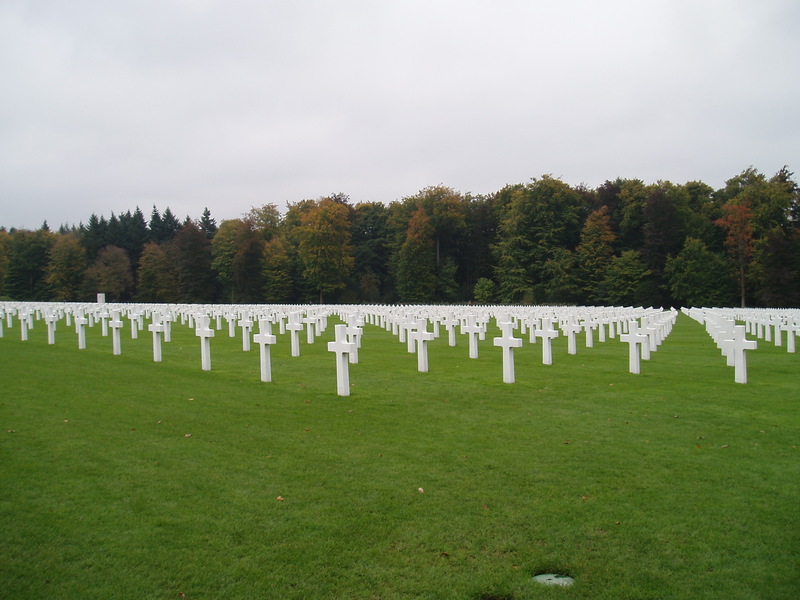 First the largest American military grave site outside of America. We were blown away by the serenity and immaculate keeping of the site. Not a blade of grass out of place. 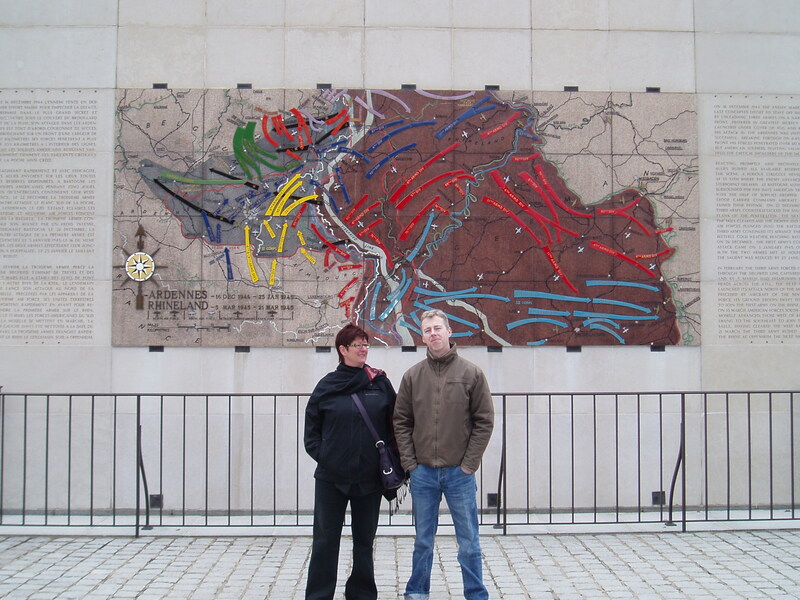 It also had some very good explanations of the war and how land occupation changed over time. 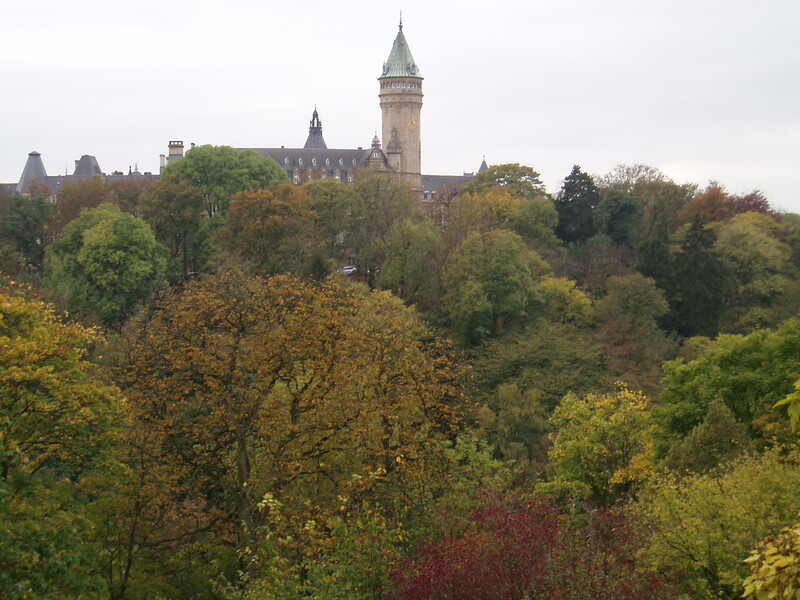 General Paton is buried there. 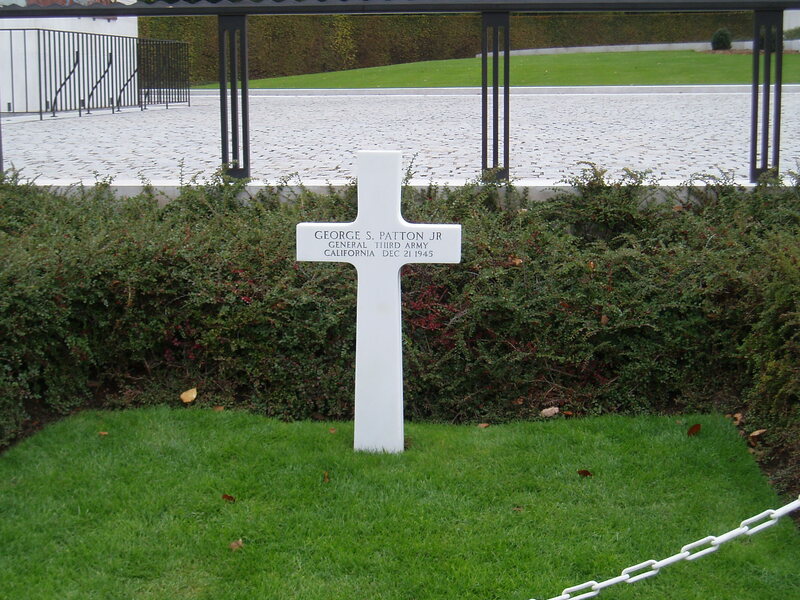 He actually died Germany but wanted to be buried with his men. 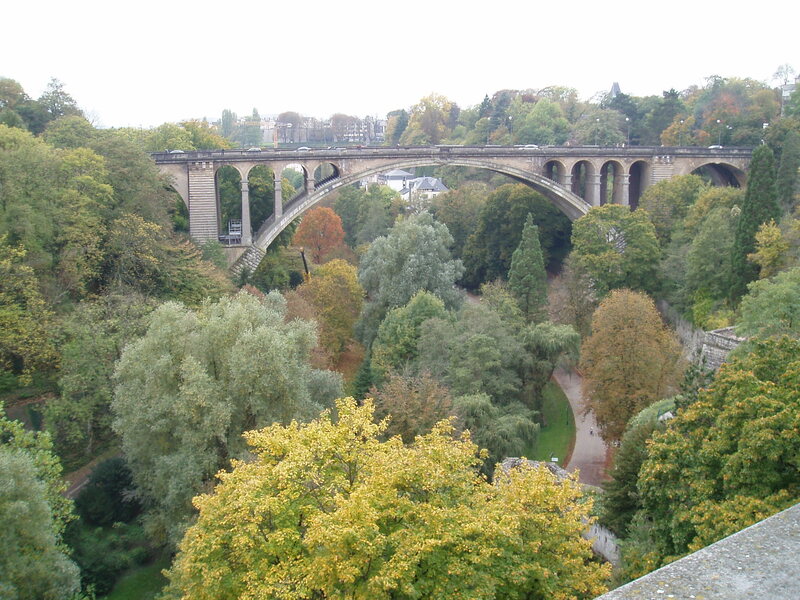 The town of Luxembourg was very pretty and lots of “chocolate box” scenes. We had to have a couple of pub stops to warm up as we meandered through the town on a cold Sunday. You see, Peter was very happy it was a Sunday as all the shops are shut, so we couldn’t “shelter” in the warm retail shops! 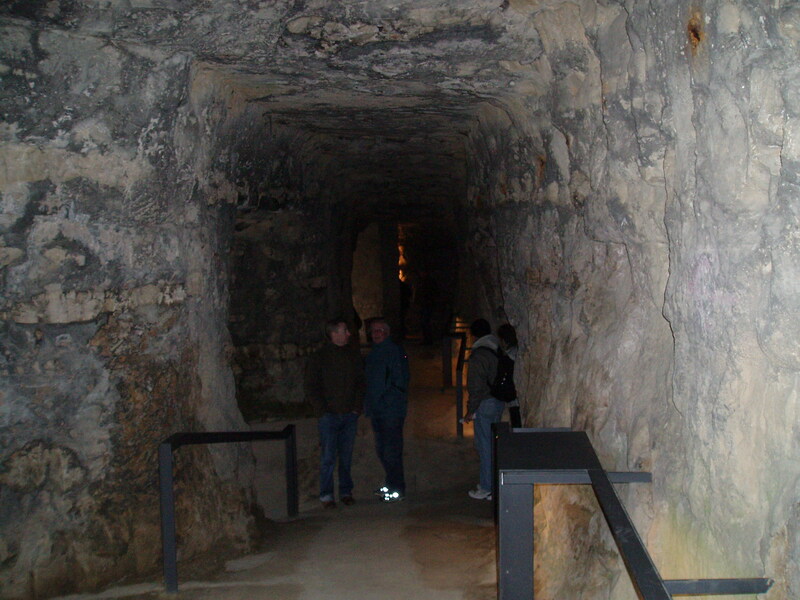 We went to the casements and tunnels cut in the rock for fortress reasons. So many and such amazing work for being so old. Also, great views from there. That night we went to the local pub in the village where Sean lives – and even I held my own in the pool games!!!!!!! 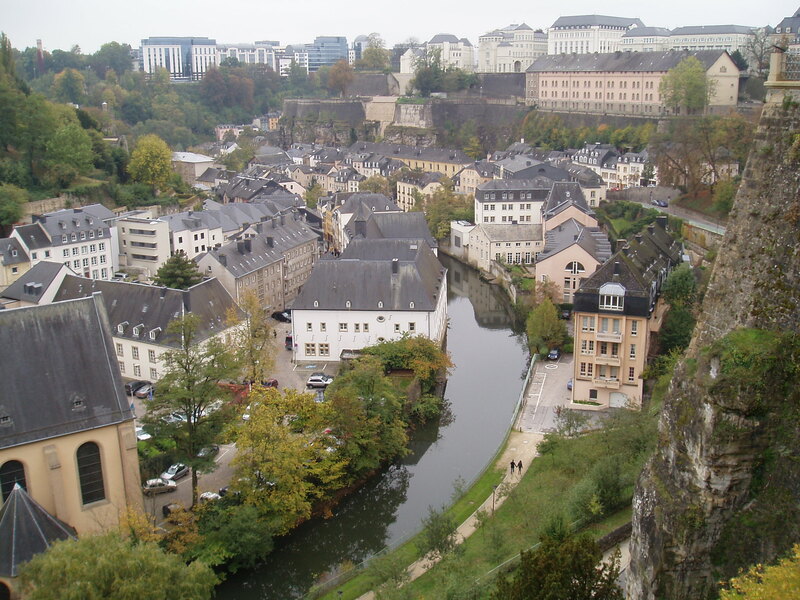 They still smoke indoors in pubs and restaurants in Luxembourg and some of Germany – we are so not used to that now. 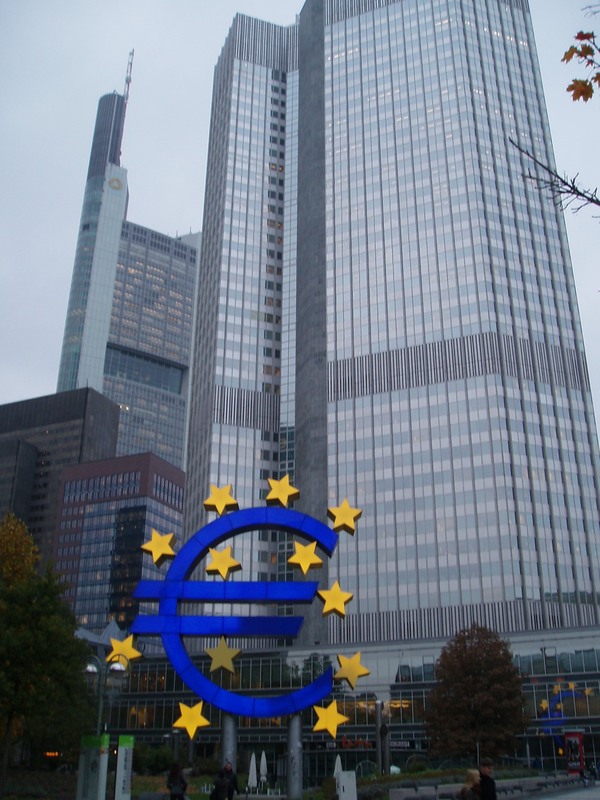 We left Luxembourg for Frankfurt. It was great staying with Sean and catching up. Thanks Sean!!!!! 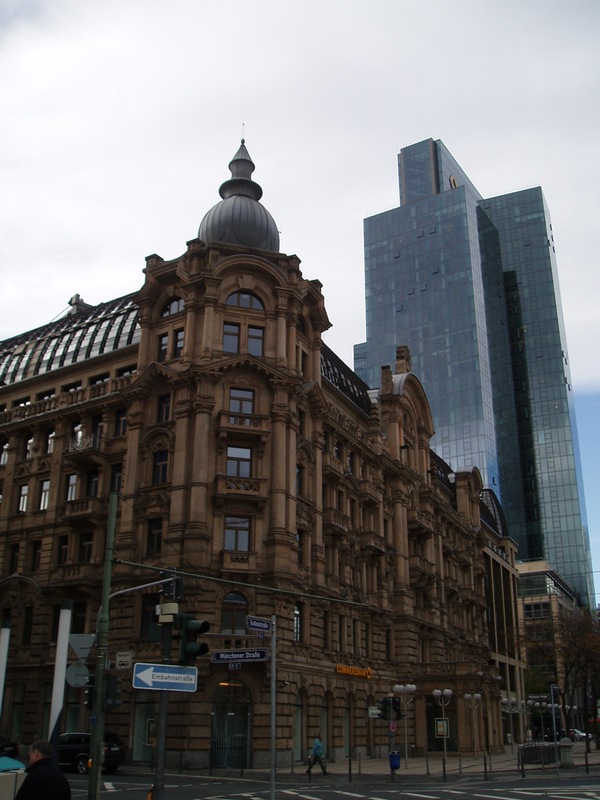 We stayed for three nights in Frankfurt. 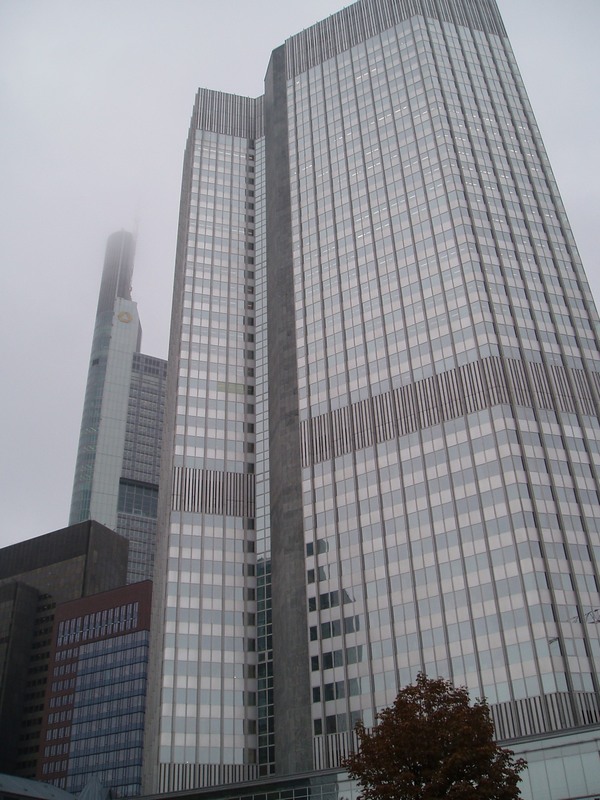 It is much more modern than other places we have seen in Germany and has high rise glass buildings. But these are set alongside old buildings too. Msot of teh city was bombed during the war which explains the new buildings. 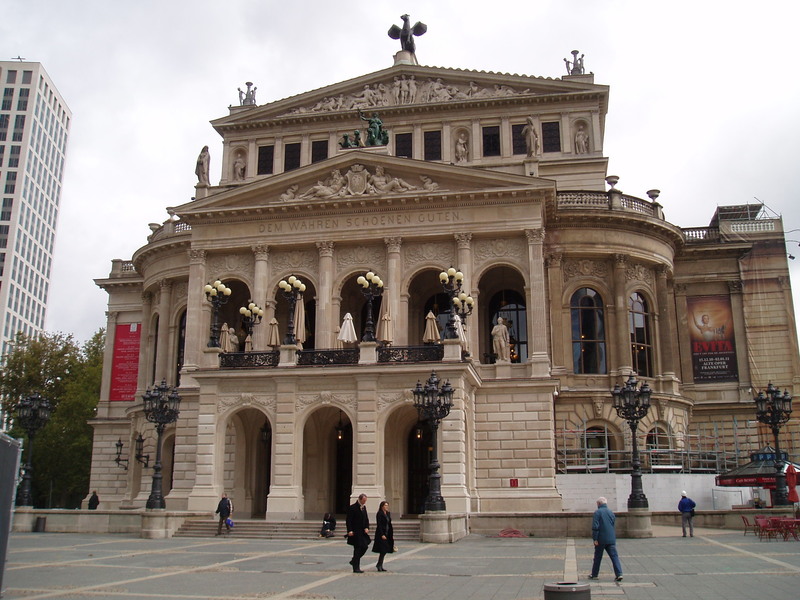 The Old Opera house - rebuilt in the 1980's!! 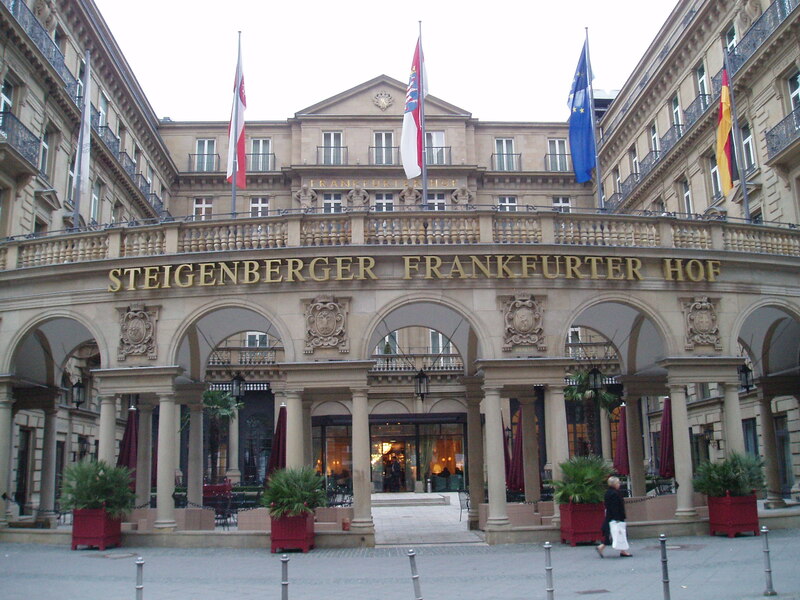 We met our friend Heike’s brother and sister in law for dinner here and had a great night. We tried the local “green sauce” which I really liked. Made with a yogurt base and with garlic and 7 green herbs, e.g. parsley, chives, etc. Similar to the Italian Sauce Verde but with the yogurt base instead of just oil. 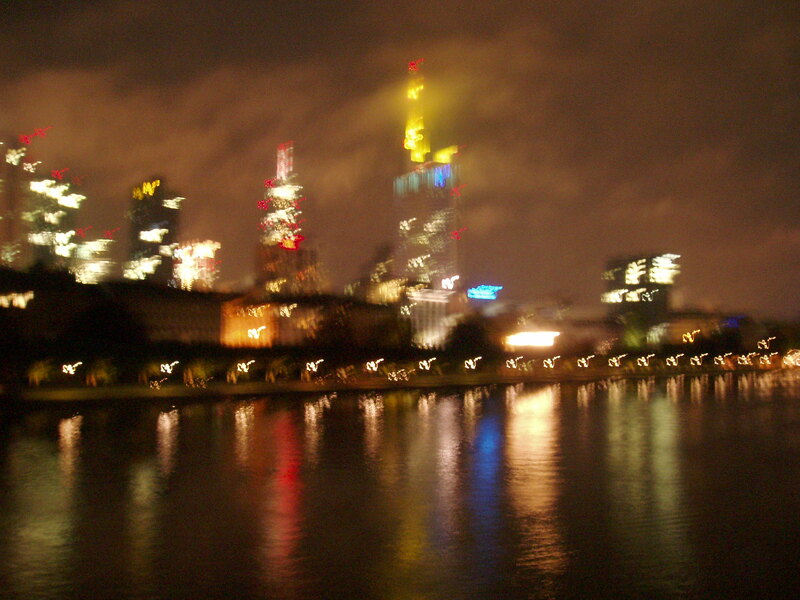 Night scene Frankfurt - a bit blurry sorry!! 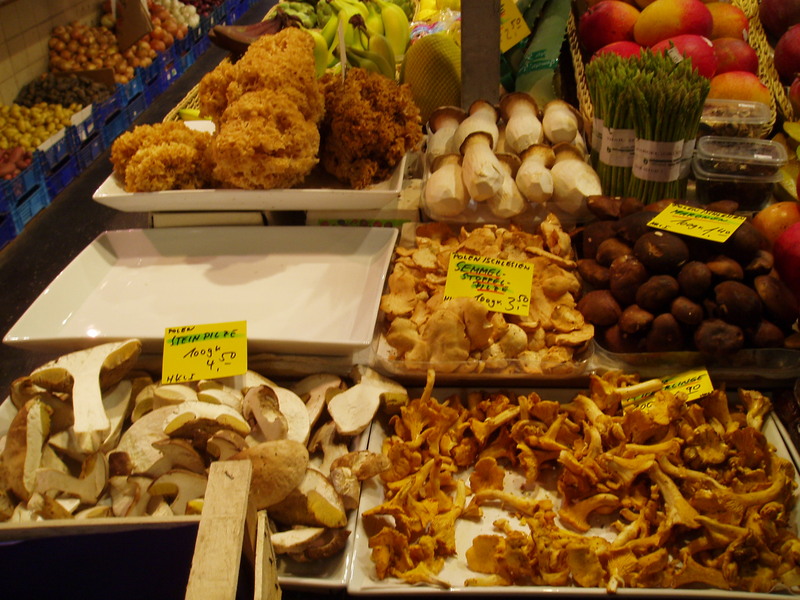 Went to the local indoor market. It was wonderful and saw the wonderful mushrooms, the huge pumpkin and lots of other treats. 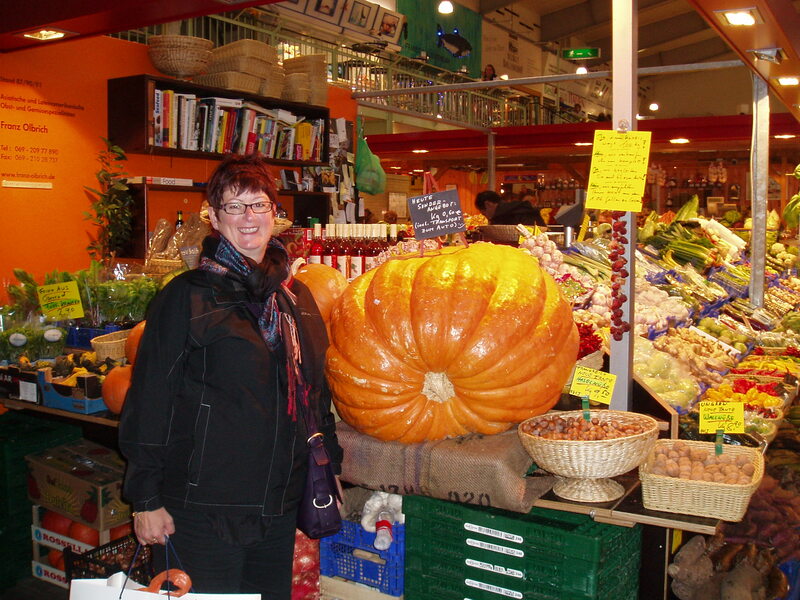 The pumpkin was 42 euros to buy it was so large! By now the weather is cold and it was also raining. But there was a heated pool at the hotel we were at and we enjoyed the warm exercising! This entry was posted on October 30, 2010 at 3:21 pm and is filed under Uncategorized. You can follow any responses to this entry through the RSS 2.0 feed. You can leave a response, or trackback from your own site. I’ve just caught up on all the blogs you’ve been sending. I’ve had a very busy October so haven’t had a chance to read them until now. I’ve just spent about an hour browsing through them all and reading all about your adventures. Boy, you’ve been to some great places haven’t you. You’ll have some wonderful memories to bring home with you now. I’ve saved all the blogs for Sheila to read when she comes back from Denmark. She’s doing very well over there and her accommodation has cost nothing because she’s been staying with friends she’s made over there. Good eh! I think Sheila will be coming up to Auckland at some stage, don’t know when yet so she’ll be able to catch up with you both then. I probably won’t be up because she’ll be working when she does get there. We’ll look forward to your blog from England and your adventures there. Have fun guys and thank you so much for the entertaining write-ups.